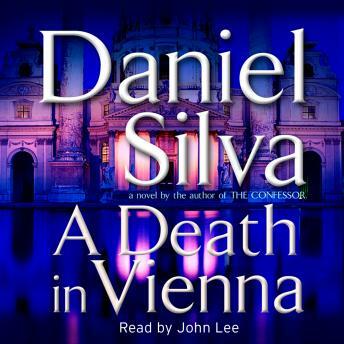 Listen to "A Death in Vienna" on your iOS and Android device. Art restorer and sometime spy Gabriel Allon is sent to Vienna to authenticate a painting, but the real object of his search becomes something else entirely: to find out the truth about the photograph that has turned his world upside down. It is the face of the unnamed man who brutalized his mother in the last days of World War II, during the Death March from Auschwitz. But is it really the same one? If so, who is he? How did he escape punishment? Where is he now? Fueled by an intensity he has not felt in years, Allon cautiously begins to investigate, but the more layers he strips away, the greater the evil that is revealed, a web stretching across sixty years and thousands of lives. Soon, the quest for one monster becomes the quest for many. And the monsters are stirring. . . . Filled with sharply etched characters and prose, and a plot of astonishing intricacy, this is an uncommonly intelligent thriller by one of our very best writers. Not my favorite of the series but still an excellent narrative of the horror of the Nazi activities during WW 2. Decent but overall not my favorite book in the series thus far. Very slow paced bordering on boring at times but ultimately ties everything up in the end. I enjoyed this book immensely. It is best appreciated as part of the series and, like many other things of excellence, it takes time to build. In this context, it is one 'hell of a' book. The narrator is a new guy, but he too grows on one. Boring, slow, no plot twists or turns this book is a cookie cutter Nazi "thriller," it almost put me to sleep. The website for Daniel Silva says in the description for "A Death In Vienna" that it features "a plot of astonishing intricacy and resonance, [and] is an uncommonly intelligent thriller by one of our very best writers;" all I can say is Silva must have just written what he thought of the book, since those are the complete opposite of what I found to be true of the book. If you want a sleepy title with little action, requiring little thought and with virtually no violence read this book. Daniel Silva is a good writer. While his stories tend to blur together and follow the same standard plotline, they are always entertaining. The narrator was great.